When I walked into the keynote it was packed. If you followed the event on Twitter you will know the turnout was great. Well done Prague for coming out in force to support the event! First up was Adam Bien with “Enterprise Java.next: A Slideless Keynote”, but as I said, I missed it this time around. You can see my description from the London event. The second keynote was “Building Modern Applications Using APIs, Microservices, and Chatbots” by Siddhartha Agarwal, Jakub Nesetril. This was a standing room only thing again, so I had a little wander around the venue and got back to see the chatbot demonstration, which I watched from the from the corridor. Pretty neat. Next I went to see Peter Nagy with “Deploying Cloud-Native Applications: VMs, Containers, or Functions”. This was a really interesting and I wrote down a lot of notes. I had a quick chat with him at the end about Docker and learned some new stuff. From there I went to see Chris Saxon with “SQL Magic! Tricks to Show SQL Features You’ve Probably Never Used”. He got a big crowd, which was good to see for a SQL presentation at an event like this. After that I went to see “Explore the Basics of Setting up Your First Secure Private Docker Registry” by Mike Raab. Being a Docker noob, some of this went over my head, but every bit of information helps ease the transition into playing with Docker. 🙂 He mentioned using Let’s Encrypt certificates, which I saw a few people scribble a note about. It was a really enjoyable day. Thanks to everyone from #OracleCode for letting me come to the event. Thanks also to the Oracle ACE Program for continuing to let me fly the flag. Big thanks to all the speakers and attendees that made this such a successful event. I hope to see you all again! 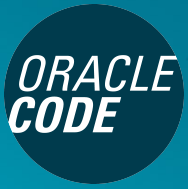 So that’s my second and last #OracleCode event this year. I hope the rest of the cities go well. Remember, it’s free so turn up and support them if you want more events like this in the future!